This past spring, I was visting bike shops to begin looking at a new replacement for my daughter's original mountain bike that she had outgrown. I also checked out a number of on line sites and talked with friends like Jim Moss, who follow the industry. I narrowed the list of possibilities and grabbed my daughter and proceeded to several local bike shops to involve her in the selection process. After visting the third bike store, I was going over the details of a particular bike with her when she rolled her eyes and gave me an exasperated look. My daughter loves to ride and continues to learn and develop her skills. However, at 12 years of age, she really just wanted me to help her pick out a bike that fit her and would get her over the terrain we do in a manner she would enjoy. She did not need to know about the millions of variations in bike design and equipment. Although my daughter may not appreciate all the choices companies provide consumers, it is how the outdoor industry has evolved to compete in today's marketplace. This same concept applies to marketing in the outdoor industry. 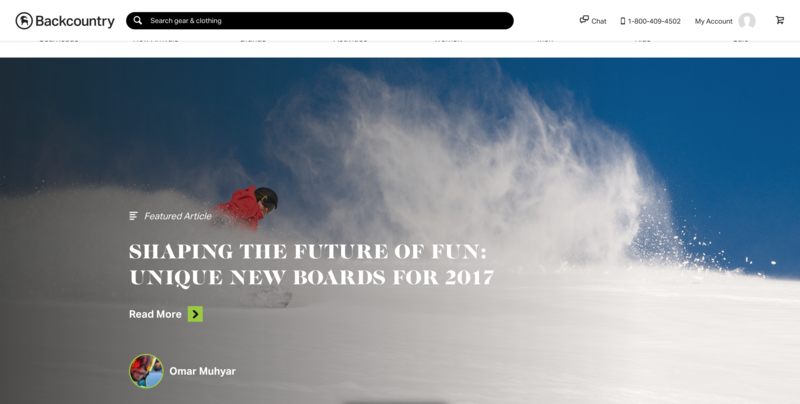 The uber-competitive digital ecosystem confronts outdoor brands with an option: learn to compete or suffer. In marketing, brands need to analyze, adopt, and adapt their strategy to utilize the latest trends and technology to be competitive. 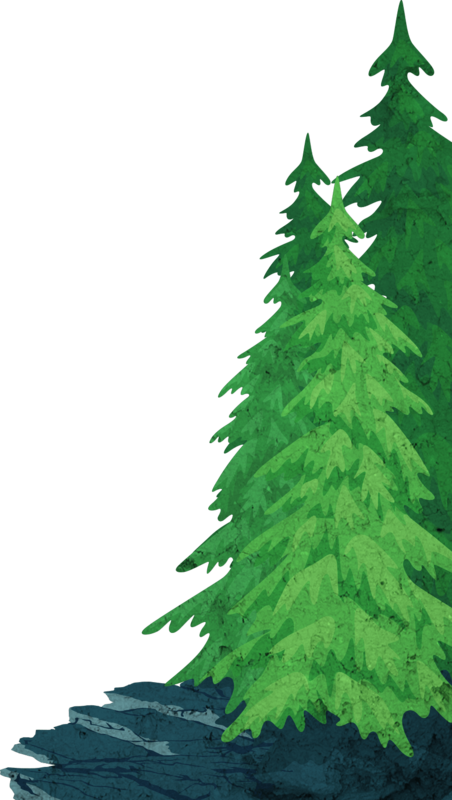 To really grow, outdoor industry marketing personnel need to learn, love, and live in the marketing outlets of content creation, social media, and email targeting. The whole premise of inbound marketing is to create content that adds value to people's lives. By doing so, you bring your audience into your kingdom through an honest and helpful channel. The goal of creating content should be to add value and gain trust, which will carry over as a representation of the quality of your product or service. Pro Tip: Your content should answer basic questions and needs of your customers and prospective customers. As Keith Reynolds of Austin Lawrence puts it, there is a "pressing need for companies to create sustainable dialogue and interaction between the Marketing department and their customer audience, in coordination with -- and support of -- the Sales team." Source. Although your content has the goal of adding value for your customer, it can also add value to your bottom line. Make sure to include simple, easy-to-follow next steps for your reader to take to further them along in their purchasing process. 1a. What Kind of Content Should I Provide? Your audience wants to read compelling stories, hear the latest news, and find out what's really happening in the community that they have chosen as their own. The "Journal", which should be named to fit your organization and audience, is the place to share that information. It can include a wide range of topics, depending on what your business does. Don't forget to add high quality and relevant imagery from your sea of contributors. There is exceptional value in simply teaching how to use your product. If the lesson is effective, well put together, and professional, you become a leading expert in the mind of your audience. Whether it's teaching the basics of climbing knots or how to pitch a tent, you're displaying to your audience that there is a support network of individuals willing to help if they do purchase your product. 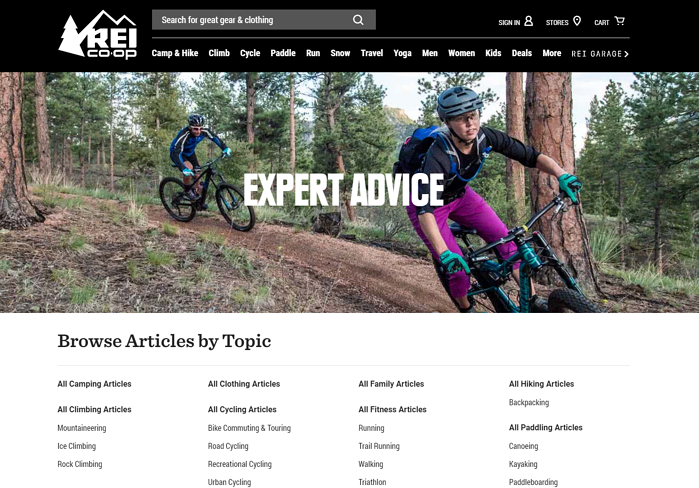 Ex: Your How To Guide doesn't have to be as all-encompassing as REI's Expert Advice section, but it should definitely be well thought out, accurate, and professional. Your brain processes video 60,000 times faster than text. Video is easily digestible and easy to create with today's tools, rendering it a foolproof way to stick out from the crowd. If you haven't started to think of ways you can utilize video to enhance your content, do so now. Invest the time, money, and manpower it takes to create video content and you will see the payoff down the road. Social media is entering maturity. On the Rogers Innovation Adoption curve, the late majority is now adopting social media and using it daily. In fact, over 80% of Americans have a social media profile, according to Statista. Social channels are the main way to communicate a message, share ideas, promote a product, and foster community within your audience. Individuals expect to follow and communicate with their favorite brands on their platform of choice. According to Sprout Social, 86% of social media users want to and do follow brands on social. Outdoor brands need to devote marketing time to the right social media channels to grow influence, stay competitive, and contribute to the bottom line. There are different approaches to achieve this. 2a. What Should I Be Doing On Social Media? Take a look at your target market's demographics to decide on what social media platforms to use. Not all avenues are the best for your brand. For example, Facebook is used by men and women of all ages, whereas the bulk of Instagram users are in the 18-29 age range with women outnumbering men by more than a few percentage points. Do your research on where your audience likes to live in the digital social world, and then focus on a few core platforms. A good place to start is this Sprout Social demographic guide. So how do you take advantage of each platform? Using influencers and brand representatives to wear, use, rip, and dirty your product out in the field is a great way to get many eyes on your product in a non-threatening and natural advertisement. An influencer is someone who has a large following on social media, hence being able to influence others by what they post. A brand rep doesn't have to have a large following, but is a core user of your product that can vouch for its quality. Influencers already have a solid base of fans and followers who like what they do, trust them, and will not be opposed to seeing them use a product even if it's marked as an #ad. Finding influencers and brand reps is as simple as scrolling through different hashtags, locations, and other accounts to find and message individuals who meet your criteria. Many larger accounts are only willing to work with larger brands, while the local photographer may be ecstatic to work with a local startup. Ideally, they will feature your content in their personal feed and also generate content for use on the brand's social feed and marketing materials. With the increased expected frequency of postings on Instagram and beyond, it's necessary to keep your feed fresh through curation. Besides using content from your team of in-house photographers and brand reps, you can curate your content from your community of users that tag you and use your hashtags and products. It's common courtesy to ask for permission to repost even if they tag you, use your hashtag, or are using you product. Partnerships with like-minded organizations. You share some of their content, and they share some of yours. The gap between real life and social media will continue to shrink. Users will continue to share live and instantaneous content, while also being able to connect with digital friends in real life - all organized through social media. Most of the world has already gotten a glimpse of where we are heading. Live content and real life meetups are becoming the norm, and we can expect social media to continue to make that easier. Similar to what Pokemon Go did with augmented reality, social media will bring the aspects we love about social media into the real-life sector; allowing users to meet like-minded individuals and brands at relevant locations and broadcasting the event through the social channel of choice. The more automated you can get with your emails, the more time you can save and money you can make. 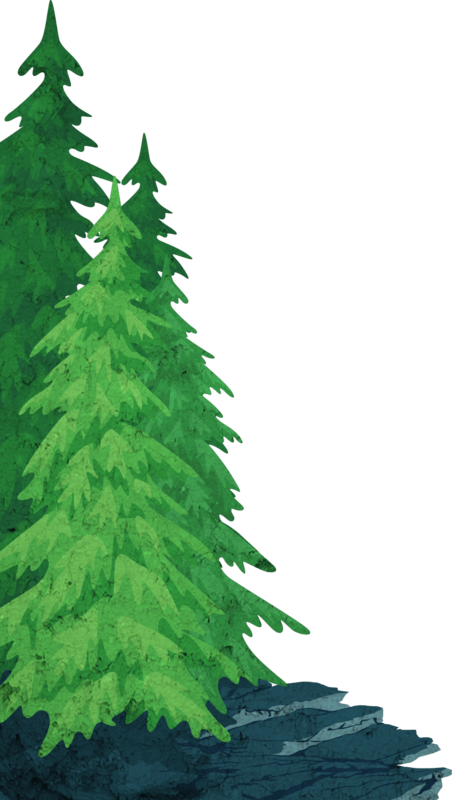 There are two main types of automated emails outdoor industry marketers should make use of. 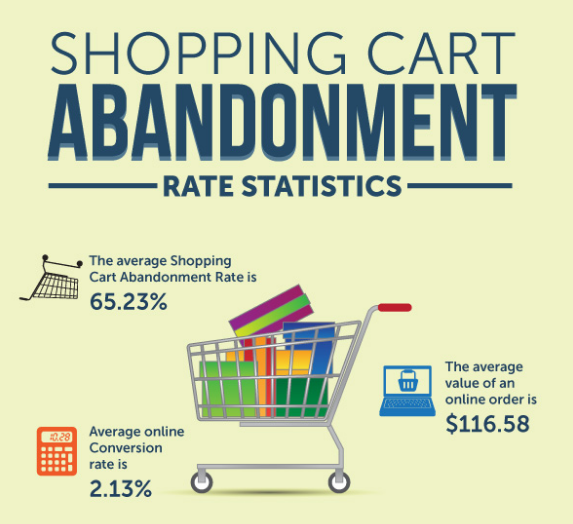 Abandoned Cart Recovery - Almost 70% of shopping carts are abandoned before checkout. A quick, automated reminder email (with perhaps a 10% off coupon) will remind people about the products they were close to buying. Schedule out 2 to 3 reminder emails to try to recover those lost sales. Transactional emails - These are necessary to run a functional eCommerce store. These emails give the customer peace of mind that their order was received and information on when they can expect to receive it. They're also a chance to sneak in a plug for a companion product that would work nicely with their purchase. Email users receive approximately 88 emails per day, across all their accounts. Many of these emails are part of a steady flow of promotional emails flooding their inbox. When crafting your promotional email strategy, tread lightly. There's a strong chance promotional emails are the first marked off as spam, annoying, or systematically overlooked. Promotional emails should be used with good judgment, only for large campaigns or seasonal sales and only sent to people who opted into receiving them. You have all this great content out there, so get that content into the hands of your readers! This can be automated to send out daily, weekly, or monthly emails that only include articles on that topic that your subscriber has selected. Although digest emails have an indirect effect on product sales, they're a big part of promoting the content your team worked so hard to create. What's next in email marketing? Not much about email will change, but the way you deliver it and the content inside will. Artifical intelligence is shaking up a lot of industries, and marketing is no different. One AI email tool we use is Seventh Sense, which applies artificial intelligence and individual user data to determine the best unique time to send an email to each person. Artificial intelligence can also be used in generating copy that users are more prone to engage with, like wording of an email's subject line. To keep getting the most out of your email strategy, utilize technology that will give you a leg up and help your emails be the best. 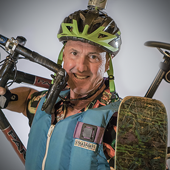 Just as the technology in your gear evolves to meet athletes' needs in dynamic environments, so do the different ways to market to your adventure-focused audience. As you customize your marketing strategy, make the most of your chosen social, content, and email channels and tools by getting a strong pulse on your audience and their needs, interests, and behaviors. Whether you do it yourself or use one of many outdoor marketing companies available, just remember, there is no one-size-fits-all approach, so continue to test, push the limits, and revise your strategy to get the most out of your marketing.